The frightening Abomination is devouring the World of the Four Realms. The Archmage Trevana has chosen you, a young adept, to travel through time and space to meet the mysterious Author himself and ask him for help. Gather ingredients and craft spells to fight against this all-consuming dark force and bring hope back to your world. You must speak, but will your Author listen? 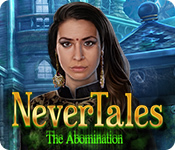 Find out in this emotional hidden-object puzzle adventure game!